Protect Your Car Security ! Make Your Life Safety ! Protect Driver Safety---Hidden installation & power down remove alarm, hi-jackingSOSfunction can help police to find car & driver easily and immediately, familycanhave better safety protection ! Protect Car Security---Move & shock alarm can be used as car alarm, when the carisattacked, the tracker will send SMS and make a call to the car owner with silence,nobe be sound, theft don’t know the tracker has noticed the car owner, this maketheGPS tracker has better protection than normal car alarm. Any where any timecar securityis in your hand ! Vehicle Fleet Management---For company vehicle or transportation fleet, one accountcanmonitor all vehicle current location, history tracking, break Geo-fence, overspeed,etc, It is easy and convenient to manage a fleet. GPS Tracker: Enhance Working Efficiency ! Reduce Oil Cost ! Driver can not laze again--Every day working time and driving tracking easy checking,drivercan not lie any more ! Easy fleet management--No matter how many vehicle in a fleet, one account can checkeveryvehicle, PC / Mobile Phone / SMS / App / WeChat etc, any way can track anyvehicle. Driver will be very worry about the car security when the car is not in parkinglots,after installing GPS tracker, if the car is attacked, the tracker will sendSMS andmake a call to car owner, no distance limited, even you can send SMS toturn offcar engine if the car is stolen, any time any where car security is inyour hand! When the tracker send SMS or make a call to car owner, on be be sound, theft willnotknow the tracker has noticed the car owner, it is better than normal be be soundcaralarm system, the normal car alarm system begin to be be sound, the theft willfindthe alarm and remove it, then the alarm is disarmed, and normal be be soundalarmonly notice around people, you can not hear the sound far away or behind awall.if the car is stolen, you can help police locate your car immediately, alsoyou cantrack the car driving routing real time, this can help police find yourcar easily& fast ! PC / SMS / App / WeChat / Web visit etc, any way can get current location any whereanytime, it is not necessary to worry about your family safety any more, even thecaris hi-jack, also you can help the police to find your family and save them.Safetyis the most important for you and me ! 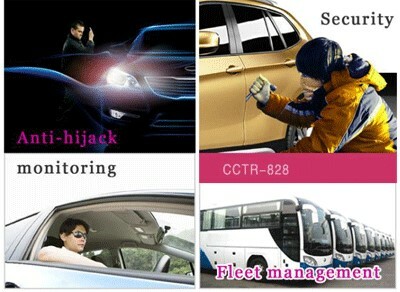 6 locate method, any one can help you check your car, car security is in you hand! Just visit www.999gps.net by any PC with internetconnection,login with the given user name & password, the current location willdisplay, andspecified date & time, you can playback any time history tracking,we will keep thehistory tracking data over 6 months to 12 months, it is not necessaryto downloadany software, just visit website is OK.
2: Make a call or send a SMS to trigger sending back SMS with location descriptionorGoogle map link. A: Make a call to the tracker, then hang up, a minutes later, the tracker replytheabove SMS, it is very easy to use ! B: Send a SMS “#”to the tracker also can trigger the tracker reply SMS withlocationdescription. Send a SMS “url#”to the tracker can trigger the tracker replySMS withGoogle map link. it is very convenient. Also open app store on iPhone, Search “GPStrack1”app, the above app will display,clickthe “Free”and “Install”, and input your apple ID and password, the app willbe downloadedand installed on the iPhone automatically. App also can be used as car finding: Whenopenapp, your own location and your car location all can be display on the map(Enableyour mobile phone GPS), also it can update every 30 seconds, you can lookthe mapand walk to your car. (For underground park, your display location maybeis not yourreal location, it is cell locate location when no GPS). Use mobile phone explorer to visit website www.999gps.net,loginwith the same user name & password, the same function with PC website visitingcanbe done, the only difference is the screen is smaller. For old non-smart phone, Use mobile phone explorer to visit website wap.999gps.net,loginwith the same user name & password, current location on the map will display,thewap website visit only can locate current location, it can not playback historytracking.it is only used to suit for old mobile phone locate to display map. This OBD GPS tracker is no installation, just inert the tracker to OBD II socketisOK, it is not necessary to connect any other wires any more, just like you useyourcar charger to recharge your mobile phone in the car, so it has not any damageorany disturb on the vehicle. This OBD GPS tracker is no installation, just inert the tracker to OBD II socketisOK, it is not necessary to connect any other wires any more, when the car isdriving,the GPS tracker power is supply by the car engine generator, when the vehiclestopmoving, the tracker will go to sleep mode to save battery power, the currentis lessthan 5 mA, just like a mobile phone is standby, so it has not any damageor any disturbon the vehicle. 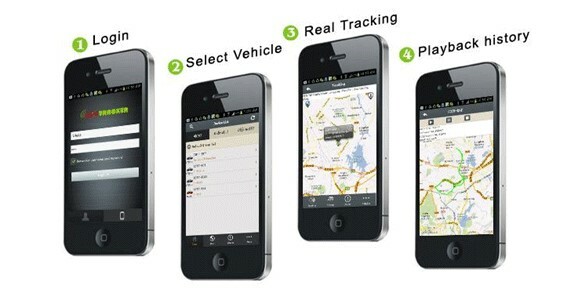 Normally GPS tracker has 2 kind of charge: SIM card data charge and GPS trackingplatformservice charge. 1. SIM card charge: GPS tracker need use GSM network to send GPS location data tointernetserver by GPRS, so you need pay the SIM card charge, normally the GPS trackerwillcost 10-20M byte data every month, it is better to order an data package tosavemoney. If you use SMS locate, it also need cost SMS charge, and if you uselistenfunction, it will cost calling charge, so order only data SIM card and orderan 10-20Mdata package can save money. 2. GPS tracking platform service charge: GPS tracker need send GPS location datatointernet server, we should develop an special software for the server, and rentanplace in the main line internet machine room, also we need monitor & maintaintheserver running 24 hours, all these make your tracking service running any timeanywhere, so normally customer need pay GPS tracking platform service charge, somecompanysupply one year free, normally one year is 10-20USD, 999GPS tracking platformwww.999gps.netis life time free service charge, we only add a little profit onthe tracker insteadof service charge, it is a big benefit for the customer, itis not necessary to payplatform service charge any more, any time any where justinsert the SIM card intothe tracker, you can use the GPS tracker free. For example: if the GPS tracker will use 5 years, first year is free, the left 4yearsneed to pay at least 4x10 or 4x20 USD to service company, add one year servicechargeon the tracker to get life time free service charge, it is a big benefit,after calculateyou will say i like free ! CARSCOP start from 2001, keep running over 13 years, CARSCOP focus on car security,oneway, two way and GSM car alarm system sale to many country, and CARSCOP startmanufactureGPS tracker and tracking service from 2008, and by now total almostmillion trackerdevices (Most in oversea market), and the tracker devices have beenpassed the FCC& CE proved, by now the market and CARSCOP running is very good,and CARSCOP willdevelop more & more new car electronic products to sale in themarket, even if CARSCOPchange products from GPS tracker to other products, CARSCOPpromise to keep the serverrunning till the last product stop using, this is a granteeof a 13 years company,it is more reliable than a new company, so the tracking platformwill not close untilyour tracker stop using. CARSCOP also sale GPS tracker in china local market, and CARSCOP charge the platformservice fee in china market, CARSCOP can get profit from the platform service, soCARSCOP will not close the tracking platform.